Terry Glavin: Afghanistan: The Voices Of The Living, The Voices Of The Dead. Afghanistan: The Voices Of The Living, The Voices Of The Dead. "There is a lack of proper communication in your country about Afghanistan. They don't see all the good progresses," Fawzia Koofi, the courageous and tireless young MP from Badakhshan and deputy speaker of the Afghan Parliament, told me in Kabul last year. "For me, the hope is for the younger generation. Young men are voting for women. The society is under a big transformation, and there are people who don't want to see this. "In Canada, the people don't see this." And why is that? "The problem is that they listen to Malalai Joya." 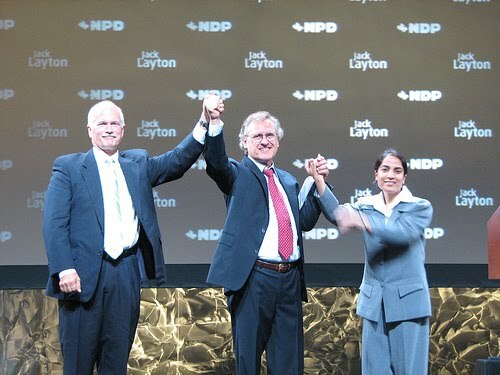 Koofi was referring to the glamorous and globetrotting celebrity who delivered the keynote speech at the New Democratic Party's historic 2006 convention in Quebec City, when the NDP decided to become the first mainstream centre-left party in the English-speaking world to officially close its ears to the voices of the Afghan people, and to listen to reassuring rhetoric of Malalai Joya instead. It was at its 2006 Quebec gathering that the NDP adopted its atrocious policy on Afghanistan, framed in the transparently passive-aggressive slogan: "Support The Troops, Bring 'em Home." Joya high-fived with NDP leader Jack Layton and NDP eminence Stephen Lewis, and then went on to become the most famous flatterer of the rich and war-weary white liberals who dominate the Afghanistan debates in NATO's capitals. Last year, Time Magazine chose Joya for its list of the 100 most influential people in the world. Among most Afghans, meanwhile, Joya is at best dimly remembered as someone who once gave a speech in Afghanistan, caused a scene, and then high-tailed it to Canada or someplace. In the better neighbourhoods of Toronto, Los Angeles, London and Vancouver, you can win bets by wagering that Malalai Joya is the only Afghan woman whose name anyone has ever heard. Among Afghanistan's democrats and reformers, and among women's rights leaders like Fawzia Koofi, Malalai Joya's name is rarely mentioned at all except in a tone of pity, ridicule or contempt. On Wednesday, Yannick Scherrer came home to us from Kandahar in a coffin. His cortege made its way from CFB Trenton down the old King's Highway, now known as the Highway of Heroes, into the heart of Toronto. Cpl. Yannick Scherrer, 24, of 1st Battalion, Royal 22nd Regiment - the Van Doos - was the 155th Canadian soldier to die in Afghanistan so that the voices of women like Fawzia Koofi might be heard in the land. Just for once, I reckoned, it would be nice to crank down the volume from that cacophony of privileged and self-congratulating "anti-war" voices just enough so that Yannick's heartbroken parents, at least, might hear one or two voices among those of the millions of brave Afghans who don't talk the kind of trash Joya talks, and who know something of the sorrow the Scherrers are suffering. So here's another voice. “For these eight years, the solidarity of your soldiers, all that they have done, everyone in Afghanistan knows about the Canadian casualties," Shafiqa Habibi, an Ahmedzai Pashtun of regal bearing, told me in Kabul. Habibi is one of Afghanistan’s most beloved and prominent journalists. Her trusted voice was silenced during the Taliban tyranny, but owing to the courage of young soldiers like Yannick Scherrer, Habibi was back on the airwaves by the winter of 2001, a confident and dependable television presenter. “Canada was always our friend,” Habibi told me. "We are really sad about Canadian soldiers’ casualties in Afghanistan." It was last weekend that Cpl. Scherrer was blown apart by an "improvised explosive device" while he was on a foot patrol near Nakhonay, southwest of Kandahar City. It was also last weekend that Malalai Joya was in comfortable company at Harvard, instructing her followers that NATO's "war criminals" and "occupation forces" should be withdrawn from Afghanistan immediately. As usual with these events, none of the smart people at Harvard appear to have asked Joya to explain how it could be that not once in the ten years since September 11 has Afghan public opinion come even close to agreeing with her preposterous demand that NATO troops simply up and quit the country. In an instructive interruption of the mood music emanating from Joya's current tour among the rich and fashionable of the western world, the bright young Afghan intellectual Nushin Arbabzadah, a visiting scholar at UCLA's Center for India and South Asia, has taken the trouble to point out the sordid truth that Joya's well-placed admirers do not want you to know. While the rhetoric Joya employs "resonates with the leftist circles of the west who are her chief audience," back in Afghanistan, Joya is a nobody. Joya is the mouthpiece of the clownish remnant of a 1970s-era Afghan Maoist faction (Arbabzadah does not name it, but it is the so-called Revolutionary Association of the Women of Afghanistan, an outfit with more supporters among the elderly hippies of Southern California than among Afghans). That's all Joya was when she was drawn to the bosom of the NDP in 2006, and that's all she is now. "Needless to say, such nuances have been lost on the western media who presented Joya's provocations as a woman's struggle for rights and democracy," Arbabzadah writes. "After all, in the simplistic world of western politics, a young woman fighting bearded old men simply cannot be wrong." 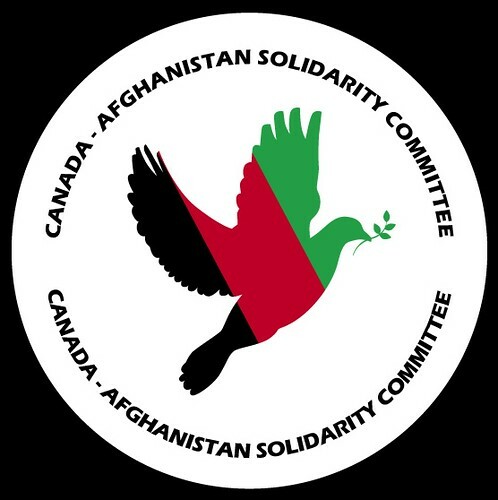 Last year, when Malalai Joya was traversing the celebrity circuit in Canada to dole out precisely the same drivel her American audiences are lapping up this week, my good friend Babur Mawladin, president of the Canada-Afghanistan Solidarity Committee, issued a caution. Babur wrote: "When individuals such as Malalai Joya demand the withdrawal of foreign troops, before peace has been achieved, they are effectively saying they want Afghanistan to be drawn back into the darkness of the Taliban time, of civil war, of bloodshed. I can only be suspicious of someone who would take such a position. Meanwhile, thousands of Afghan womens rights activists, women MPs and other progressives who actually still live in Afghanistan, unlike Malalai Joya, are giving the opposite message. They want democracy, rights for women and girls, and to be protected and supported by the world community, unlike in the past when the world turned its back on us, leading to the Taliban taking power and then to the attacks of September 11th. But their voices are not heard." If you listen to these voices - Koofi, Habibi, Arbabzadah and Mawladin - you will know something that those with the loudest voices who claim to "support the troops" do not want you to know. You will know that for all the grave errors everyone has made since September 11, 2001, the cause of a free and sovereign Afghan republic is not lost, and the sacrifices of our soldiers and their families have not been in vain. You will know that the cause that brought Yannick Scherrer and all those other young men and women back to Canada by way of a solemn procession down the old King's Highway is a cause that is as gallant as it is just. I Heart Geordies. Mackems As Well. Eye On The Unfolding Revolution.